“LibGuides” (Library Guides) are guides which give useful information/tips to students and teachers on various topics based on the Library’s Information and Media Literacy (IML) Curriculum.The Library Media Centre a KV Pattom published the first Library Guide in the series on the topic Internet safety. 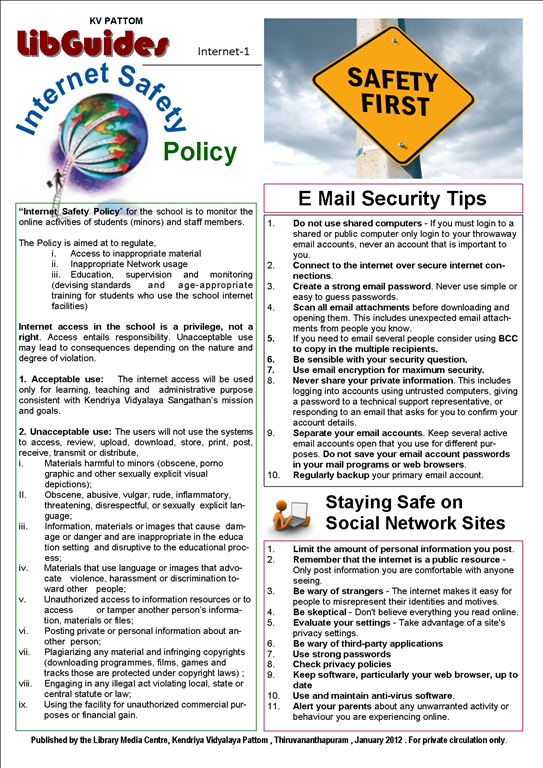 It contains details on a proposed internet safety Policy, E-mail Security Tips and tips for staying safe on Social Network sites. The students can have copies from the Library.